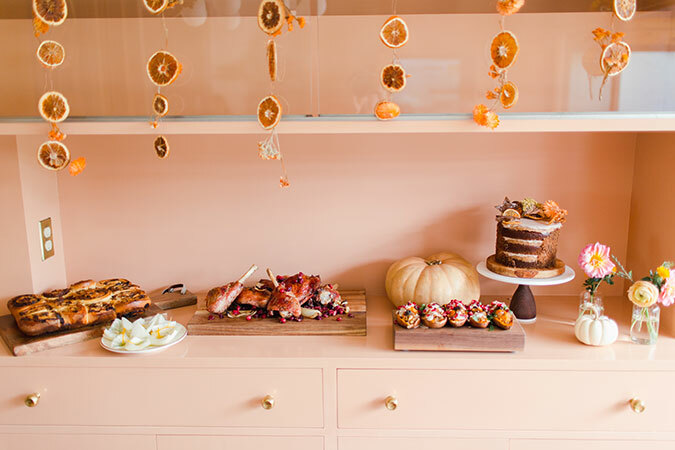 Earlier this week we shared one of our favorite celebrations to date—our annual LaurenConrad.com Friendsgiving feast! In true Thanksgiving fashion, we broke bread with some of our closest gal pals (and fellow girl bosses!) and shared one of our most treasured moments of 2018 thus far. Like most of our decadent spreads, this was a collaborative effort with many hands involved. 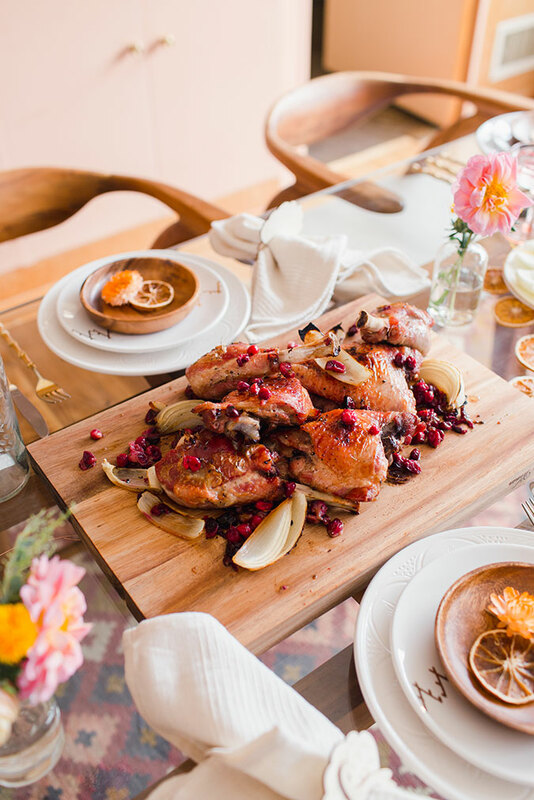 Today, however, we’re highlighting the main event—Claire Thomas’s delectable maple roasted turkey with roasted cranberries. 2. In a large bowl, combine the cranberries and onion with half of the maple syrup, butter, and herbs. Season with salt and pepper and put onto a lined baking sheet, careful that nothing is overlapping. 3. 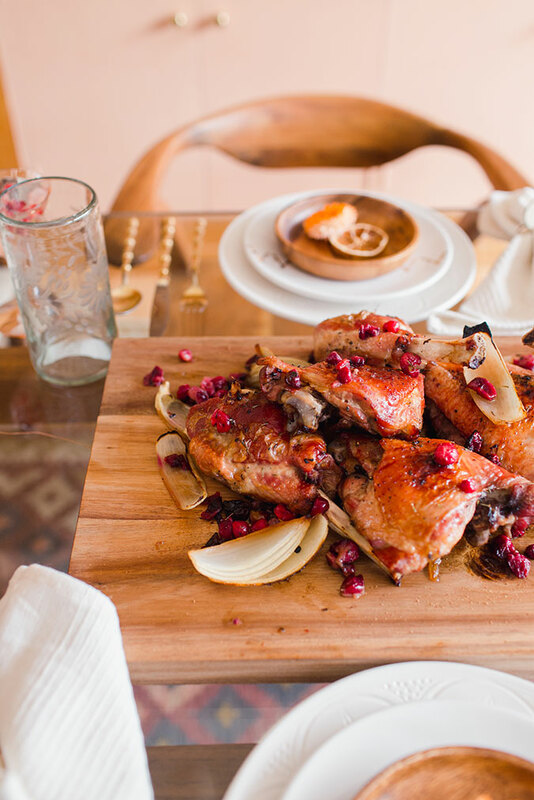 Cook for 45-55 minutes, or until the turkey is cooked through (165 degrees when a thermometer is inserted into it). To make it extra brown, turn the broiler on for a few minutes at the very end to crisp everything up. 4. Serve with a garnish of extra cranberries and onion, and enjoy! It’s hard to believe that you can whip this up in less than an hour. We’re sold! 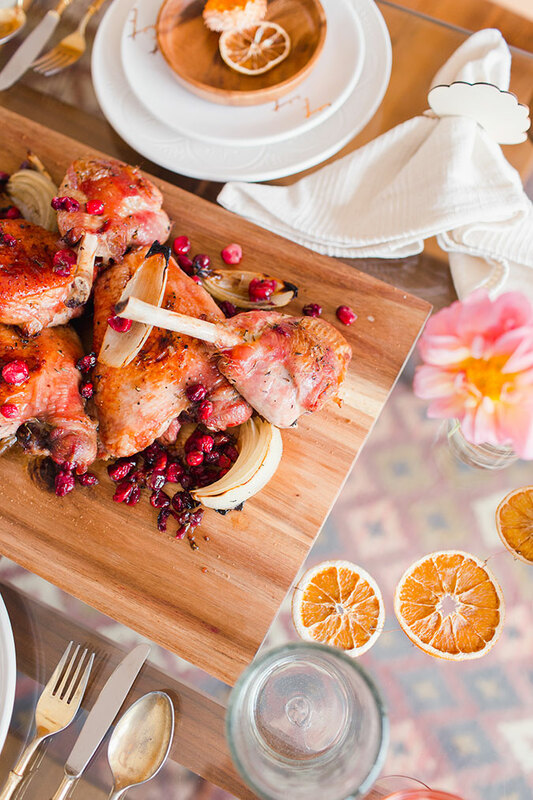 A huge thanks to our friend and contributor, Claire of The Kitchy Kitchen, for this irresistible recipe.